This will probably only relate to those of you in areas where the temperatures reach freezing. You will know when this happens because the water will stop flowing to the faucets in your home. Rather than trying to heat your pipes yourself, the safest bet is to call an emergency plumbing service that will know the best and safest way of getting your water running again. Your plumber will most likely also have suggestions for insulating your pipes so it won’t happen again and you can live without worrying about freezing pipes. It is possible to fix a busted pipe yourself with a little hard work and repair knowledge but the longer it goes on for without professional attention, the more damage you could cause if you don’t know exactly what you are doing. Busted pipes are the most common cause of a water emergency in the home and it is generally best to call an emergency plumbing service in these circumstances. You won’t want to cause your home any more damage than it may already have due to the pipe. It’s never good when you have an overflowing toilet. The mess on the floor is generally enough to detour you from trying to fix it yourself. Clean up the floor and then get on the phone to the nearest emergency plumbing service because it is more likely that someone in your household will have to use the bathroom before you can complete this task yourself. A professional will have the tools and the ability to fix your toilet in no time. You won’t even have to get your hands dirty! You may have to do a little clean up in the bathroom but that isn’t so bad when you really think about it. Calling an emergency plumbing service, despite the costs, is a good thing. The plumbers will have the expertise and the speed to get your problems solved and your home in working order before you know it. Almost any major problem you have with your plumbing, an emergency service can help. Just don’t call them for the minor issues that can wait until your normal plumber can come out during regular business hours. 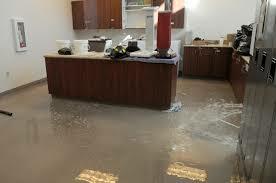 The service is there to be a timely response to major plumbing problems. Next time you have a plumbing issue, keep this option in mind. If you need happen to need any emergency plumbing service, please don't hesitate to call Rancho Cucamonga Plumbers for help at (909) 219-9588 twenty four hours a day, seven days a week.